Located at the foothills of the mighty Shivalik Range, Chandigarh is famed as a well-planned city with elegant structures and lovely gardens. 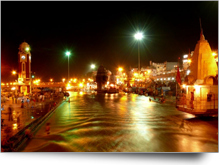 This beautiful city, which is the administrative capital of both Punjab and Haryana, sprawls over an extent of 114 sq km. 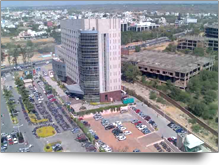 The history of modern town of Chandigarh is the innovation, skill and teamwork of some celebrated persons, who made possible the formidable task of erecting a sophisticated township out of a cluster of farming fields. The wonderful team led by the French architect Le Corbusier is the progressive spirit behind the modernization of Chandigarh. A fabulous city, which shows an outstanding brilliancy of planning, is divided in to 47 sectors each of them is intertwined by well knit roads. Shopping malls and busy markets characterize every sector. Its carefully set out parks, awesome buildings, concourses and streets flanked by continuous line up of trees and bushes make Chandigarh a dream destination. Chandigarh can be aptly called as a city of creative people and artistic monuments. Heart throbbing cultural performances of eminent personalities are become a way of life in this city of theaters, art galleries and museums. How to rejoice in Chandigarh is an unwanted question that sounds little eerie, since Chandigarh presents all amenities and infrastructure of a modern city. From partying to leisurely walks, from sheer amusements to serious art performances, this city facilitates enormous opportunities. With its surfeit of clubs, remarkable art galleries and popular theaters, Chandigarh offers a wide spectrum of entertainment. Government Museum and Art Gallery : Situated in Sector-10, Government Museum & Art Gallery in Chandigarh is a prominent place that flaunts outstanding collection of miniature paintings, Gandhara period stone sculptures, coins and decorative arts. International Dolls Museum : A wide collection of fascinating dolls and marionettes under a single roof is the main feature of the International Dolls Museum in Chandigarh. Situated at the Bal Bhavan, this museum is functioning under the guidance of the Indian Council of Child Welfare, Chandigarh. The Capitol : The architectural grandeur of the planned city of Chandigarh reflects in the Capitol Complex in its zenith. The acclaim for the breathtaking structure of the Capitol complex is accredited to Le Corbusier, the driving force behind he beautification of Chandigharh. Botanical Garden : Botanical gardens in Chandigarh allure the visitors with its wide expansion of lovely plant varieties. Among the lovely picnic spots of this beautiful city, these botanical gardens adorn a prominent place. Bougainvillea Garden : Established in the year 1976, Bougainvillea Garden has acquired a prime position in the tourism arena of Chandigarh within a short span of time. This exceptional garden is set in Sector-3, and exhibits more than fifty attractive varieties of bougainvillea plants. Fitness Trails : Spread over a wide coverage of 94 acres, the Fitness Trails is a much loved place of the city dwellers. Located in Sector-10, this famous garden houses a perfect fitness trail track amidst the imposing and charming greenery. Leisure Valley : The most sought after picnic spot in the garden city is the Leisure valley, which displays a harmony of gorgeous beauty spots. It is just like an amalgamation of so many gardens that intertwined together to form a beautiful garland. Pinjore Gardens : A must visit spectacle in Chandigarh is the Pinjore Garden, which covers a large area of 100 acres of land. This vast expansion of land houses an array of attractions to the visitors. Also called as Yadavindra Gardens, it is located in the suburbs of the city. Rock Garden : An embodiment of imagination and novelty, the Rock Garden in Chandigarh is a rare scenario, which cannot be equated with anything else. Only one of its kinds, the garden is put up with the urban and industrial wastes. Rose Garden : The largest rose garden in Asia, started in 1967, Zakir Rose Garden is spread across a vast area of 17 acres. It exhibits all types of rose plants numbering up to 1,600 plant varieties. Sukhna Lake : This manmade lake lies in the base of the majestic Shivalik range and is a desired picnic location these days. This 3 km long artificial lake is constructed by preventing the flow of the Sukhna Choe stream. Terraced Garden : Spread over a vast extend of 10 acres, Terraced garden is located in Sector 33. Set up in the year 1979, this garden allures the visitors with its illuminated musical fountain. A myriad of flowering plants makes a colourful vista in the garden.